If you’re looking into buying in a Sydney strata scheme in the inner suburbs, there are some considerations to be aware of to ensure you make a wise investment. Choose without due diligence and you could be lumped with high fees and endless levies. Choose well, and you’ll be making a wise long-term investment in a centrally located home for yourself or your tenants. Here’s what we would suggest researching before you sign on the dotted line. There are advantages and disadvantages for small and large strata buildings alike, however in terms of maintenance and cleaning services and major repairs, a larger strata building can offer economies of scale and therefore potentially lower fees and levies. This won’t be an issue for everyone, but if you have asthma or respiratory sensitivities you’ll want to consider whether buying in a property close to busy roads will impact on the air quality of your unit and any outside spaces. Similarly, check for and ask about noise insulation if the apartment is located in a high-traffic spot – if this hasn’t already been addressed, it might be a future issue to bring up with the owners corporation. Even if the asking price for an apartment is an absolute steal, it will be important to pay attention to the current and proposed fees and levies for the strata scheme. Are the levies relatively proportionate for all residents? Are the administration and Capital Works Funds (previously known as the ‘sinking funds’) in good shape? Think about future costs past the initial purchase price of the unit, and be sure to request a Section 184 Certificate from the vendor. There are a number of exciting new strata properties coming onto the market in inner Sydney at the moment and these offer all the latest mod cons for tenants, plus in theory you won’t immediately need to invest in upgrades or renovations as with older buildings. 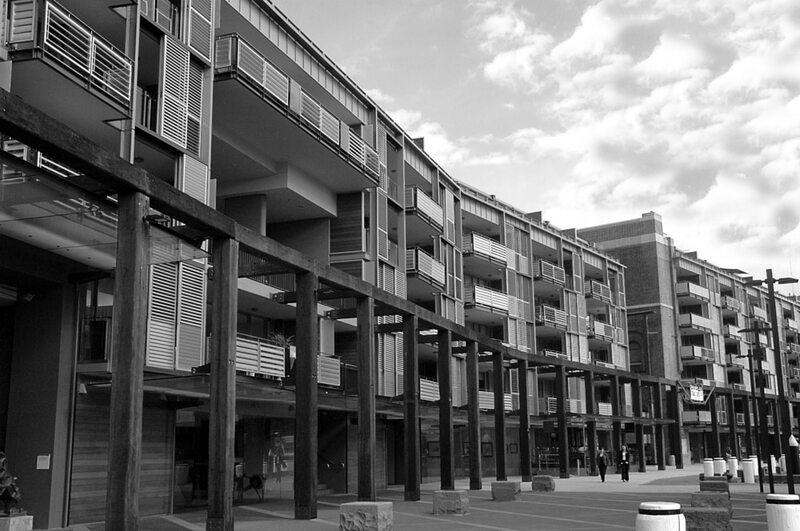 It’s worth looking at the quality of the property as well as its age, though, as some of the older strata buildings in Sydney are very well built. Even if the building you’re considering buying into is in need of some obvious repairs, for example requiring new carpeting in common areas or new window frames, this could still be a worthwhile purchase if the Capital Works Fund is in good shape. Healthy administration and Capital Works Funds typically indicate good management of upcoming issues, so enquire about future projects and how these will be taken care of.